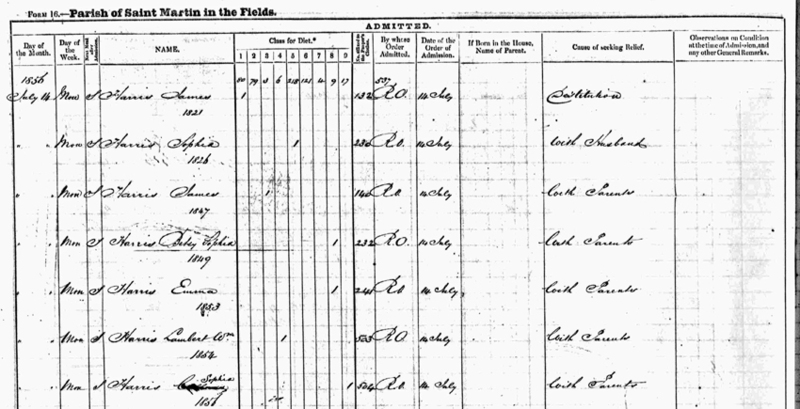 Betsy Sophia, Emma (Emily), Lambert William and Sophia. to the Workhouse School at Norwood. 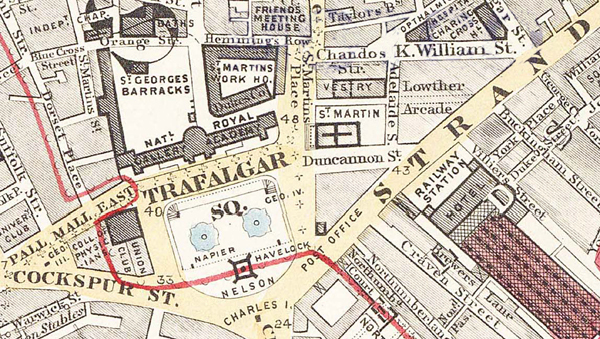 1862 map of Trafalgar Square showing St Martins Workhouse. St Martins with their two youngest children, Lambert and Sophia. being readmitted to the Workhouse. his three children James. Betsy Sophia and Emma.